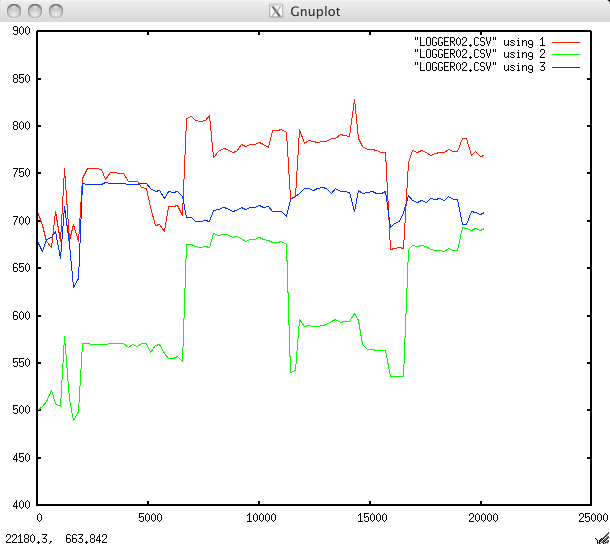 Hopefully by the time I’ve collected a few more weeks worth of data I’ve got a better idea how to use gnuplot… but if you’ve got any pointers, I’d love to hear them. Posted on Thursday, March 24th, 2011 at 11:00 am. Subscribe to the comments feed. Both comments and pings are currently closed. Post on your own blog.